Kevin Sheahan has apologised for the blunder and said it won’t be an event that is repeated. THE FIANNA FÁIL mayor of Limerick has said that a picture of his car parked in a disabled space is “political” but has reiterated his apology for the incident. Kevin Sheahan was speaking to Morning Ireland after he was forced to apologise yesterday for using a disabled parking space at a council building. Sheahan’s car was spotted by a woman who is a wheelchair user. She snapped a photo which she them sent to local media, including the Limerick Leader. “It’s insulting and he is totally disrespecting the disabled people of Limerick. He should be made make a public apology,” the woman commented. Sheahan told local media that, while he was sorry, he thought it was “a bit harsh that someone had nothing better to do” than take a photograph of his car. His actions were criticised by local Anti Austerity Alliance Cian Prendiville, who the women had also contacted after she saw Sheahan’s car. It is disappointing that rather than wholeheartedly apologise, the he has actually complained about the person who reported him. He should acknowledge that he is completely in the wrong, and the disabled person who spoke up and reported this is completely in the right – it is as simple as that. Speaking to TheJournal.ie yesterday evening, Sheahan said he was sorry for any inconvenience he caused and was fully willing to admit he was in the wrong. “I admit it was inappropriate – it was not illegal, by the way, but it was inappropriate and I have apologised,” he said. Sheahan also said he now needs to “look in the mirror and have a look at myself” as he had, himself, spent time in his 29 years of politics campaigning for parking spaces to be provided for people with disabilities. The mayor and Fianna Fáil councillor explained that he could not find his pass for the car park and only needed to go into the building for about five minutes to drop a message into the reception. He said all of the other disabled spaces were free, so he was not depriving someone of a space. However he stressed he was not trying to “make light” of the issue and will not do it again. 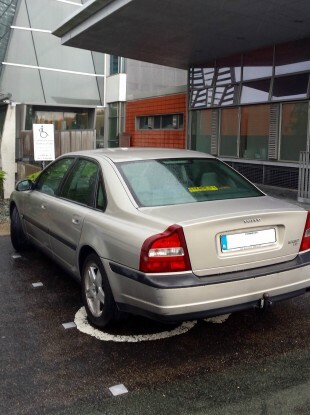 Email “Limerick mayor says picture of his car parked in disabled space is political... but he is sorry”. Feedback on “Limerick mayor says picture of his car parked in disabled space is political... but he is sorry”.